"The Italians are Coming . . . "
We like to keep things fresh and exciting here at Scot Meacham Wood Home - and bring a fresh point of view to all the things that we love. 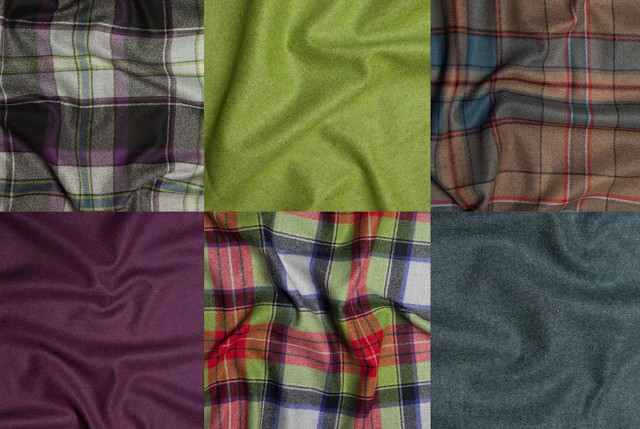 So it is with great pride that I introduce you to our new collection "The Italian Tartans" - milled in Italy. Now, you might not immediately think of Mediterranean when you think of classic Highland tartans - and that's what we LOVE about this new collection. I wanted to find a slightly different colour palette - and keep expanding our collection in fresh and exciting ways. Have a look at our new collection of custom Italian tartans and solids. Made in Italy from a mixture of 100% new and recycled wool.